The other day, my cousin (who teaches high school in New Hampshire) started following me on Foursquare. I was surprised because ---while my cousin is nowhere near a Luddite---she also isn’t steeped in the social media world. She doesn't suffer from what is known as Social Tool "ADOS" (Attention Deficit … Ooh! Shiny!). Yet there she was, and her check-ins at various spots wove the narrative of her days: that she was heading out to dinner on Friday night, ran some errands on Saturday, and managed to grab a coffee and make it to church on time on Sunday. More significantly to me, it was yet another signal that social location networking is starting to catch on. It's true that the population of people using these services is relatively small---even with my cousin on board! A Forrester report from six months ago showed fairly modest adoption rates. But more significantly, services like Foursquare, Gowalla, Loopt, Yelp and so on attract the right kind of customer for marketers to entice with ads, mobile coupons, rewards, and other location-based campaigns. Why? Because they are more likely to be "Influentials," and to share their opinion and spread the word about a business. They also encourage others to participate in social location networking, to boot. But savvy marketers won’t dismiss these tools. Instead, they’ll make use of the growing trend among the social-media savvy of sharing their location and---more importantly---their opinion about those locations. He shows some businesses already are. But more importantly, he points to clear opportunities for those who are able to move quickly and fast. In other words, this is the book that can give you a vital head start to incorporate social local networks into your digital strategy. Simon and I chatted recently about his book and why he wrote it. So, let’s start at the beginning: How to do explain the concept of social location marketing to a non-believer? Or better yet---how might you explain it to your mom? There is a new craze where people want to tell their friends where they are hanging out. They do this with their phones. They use an app to “check in,” and it sends a message to their friends. Businesses want to interact with the people who are doing this. This is a perfect marketing opportunity. The question for businesses is what does that marketing look like and which app would be best. I understand why businesses might want to participate in networks like Foursquare or Gowalla because they want to reach individuals checking in there. But what about individual consumers? Why should they bother? As marketers start to understand the social consumer and their needs, rewards are becoming increasingly more attractive for individual consumers. Take, for example, the recent partnership between American Express and Foursquare. American Express cardholders can register their card with Foursquare, and when they check in at participating vendors, they receive discounts and credits toward their bill. JetBlue offers additional air miles for its loyalty program for users who check in at any of its hub airports using Facebook Places. Many companies are now seeing the link between check-in and loyalty, and the fact that these systems can become an automated loyalty program. In fact, Topguest---a third-party check-in aggregator that partners with companies in the travel and tourism industry---is working to specifically tie in different social location sharing apps to loyalty reward programs. What category or kinds of businesses are really kicking a--- in social location marketing? Retail and the Travel, Tourism & Hospitality industries have been the early beneficiaries of social location marketing. Given that they already had loyalty programs in place and understood the value of repeat business, it was a small step for them to grasp the potential offered by social location sharing apps. That said, it is not limited to those industries, and we have seen it being successfully used by verticals as diverse as Fashion and FMCG. One example of a business that has used this to grow their business is A.J. Bombers in Milwaukee. The full case study is in my book; but in short, through the use of a one-day campaign,; they managed to grow their customer base by 110% year on year. What about B2B companies? Where do you see opportunities for them? B2B companies can most definitely take advantage of social location marketing. One Foursquare-based third-party app produces heat maps of check-ins. While this might seem little more than a pretty picture, when viewed by a company that makes deliveries or service calls in a particular geographical location, it can give them a visualization of their existing marketing efforts. The areas where their field staff are not checking in is where they don’t have customers. That is a perfect target area for their marketing efforts. At the Enterprise scale, Lotus used a Foursquare-based competition to select conference attendees to be a part of an evening cruise and receive additional face time with Lotus engineers. 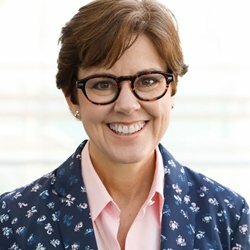 What about virtual companies (like MarketingProfs!) What’s in it for us? Finally: Why did you want to write a book about social location, when things are changing so fast? Were you terrified it was going to be out of date as soon as it was printed? Great question. I was concerned about the time-sensitive nature of the book because of the speed of change which is why only about one-third of the book is devoted to the actual apps. The rest of the book is devoted to the strategy and tactics behind good social marketing, principles that do not change because of the change in applications. I’ve been in digital media for 12 years, and I’ve seen technology come and go, but at the core has always been good marketing communications principles. Those will always be relevant and will endure no matter what the next shiny new object is. Want to win a copy of Simon's new book, Social Location Marketing: Outshining Your Competitors on Foursquare, Gowalla, Yelp & Other Location Sharing Sites? Leave a comment below and be sure to include your email address; I have three sparkling-new copies to give away.